Deep down in the wild and wonderful mountains of West Virginia is The Birdhouse Barn. We sell a variety of Lighted Country Houses, Primitive Saltbox Houses, Shelves, Benches, Primitive Shutters,Country & Prim Lamps, and more. All of our items are handcrafted in our workshop. 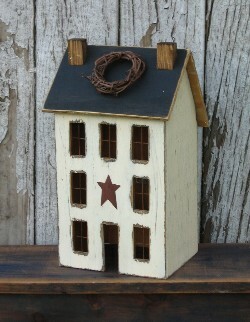 Our products make great gifts for any occasion and compliment any style of country and primitive decor. If your looking for some gorgeous gifts or home decor products you are at the right place. Our Country and Primitive Woodcrafts are unique designs and handcrafted from the finest materials. 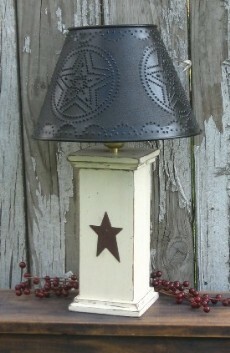 We offer several prim colors for you to choose from and we also do custom orders. If you own a business you can buy our products at wholesale prices. Occasionally we offer several different wholesale packages where you can get an even greater discount. Our Shelves and Benches are made from pine and will look wonderful in your home. Our country woodcrafts are well-built and will last a lifetime. Please check our website often as we continue to introduce new and exciting products all of the time. We strive on quality customer service and we hope to serve you in the best way possible. Please enjoy your visit and we hope you like our products. 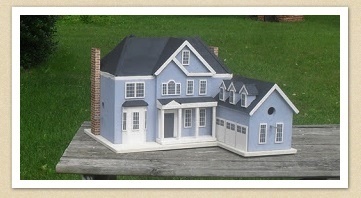 Birdhouses that look like your house! Lighted Saltbox Houses & Lighted Primitive Houses! Click the image below to see our old wood doors. Use them in any area of your home! 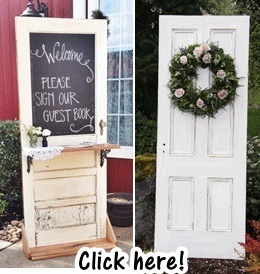 Doors are perfect for weddings! with our new blog! Click here.